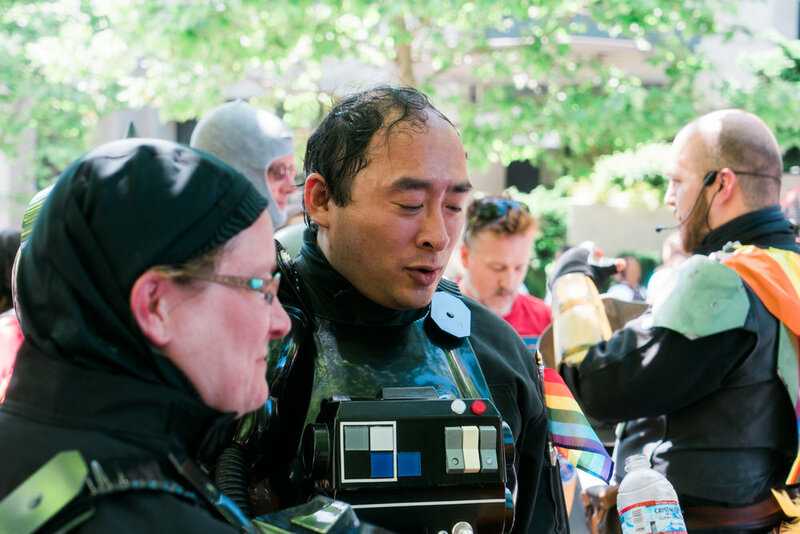 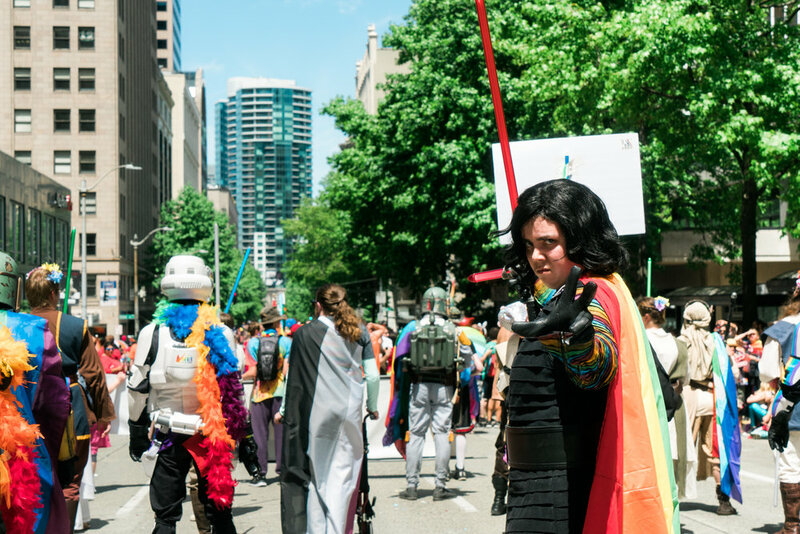 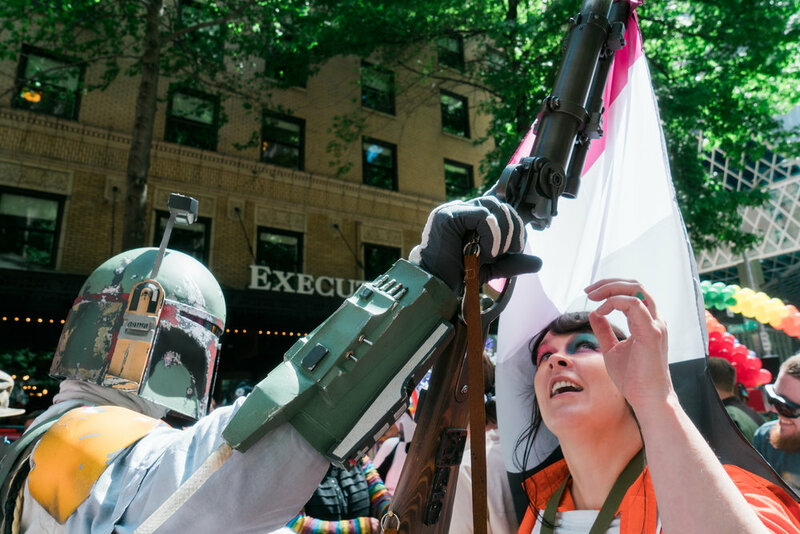 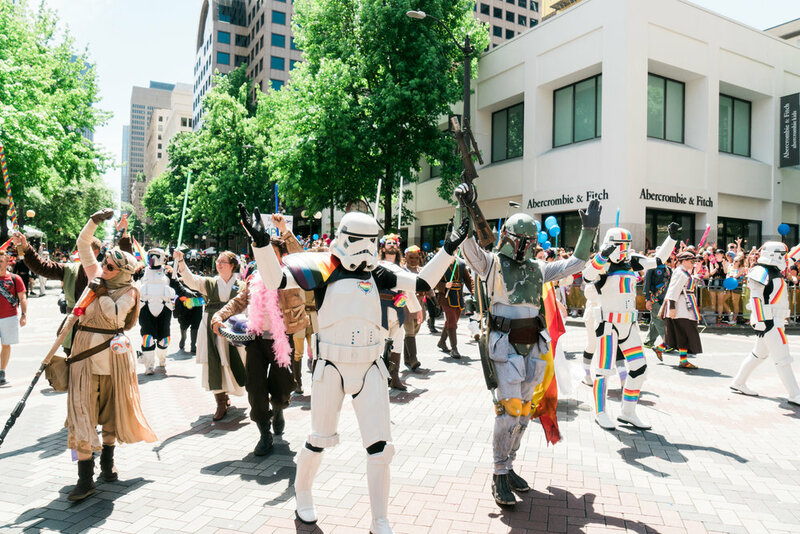 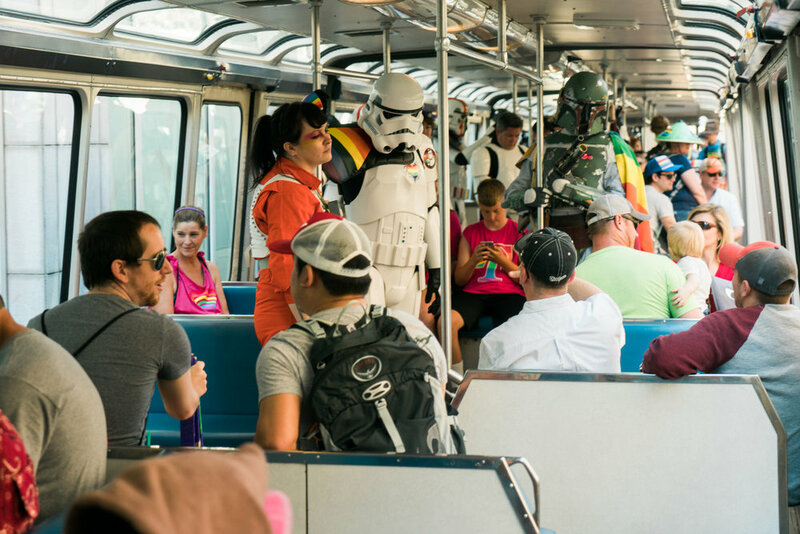 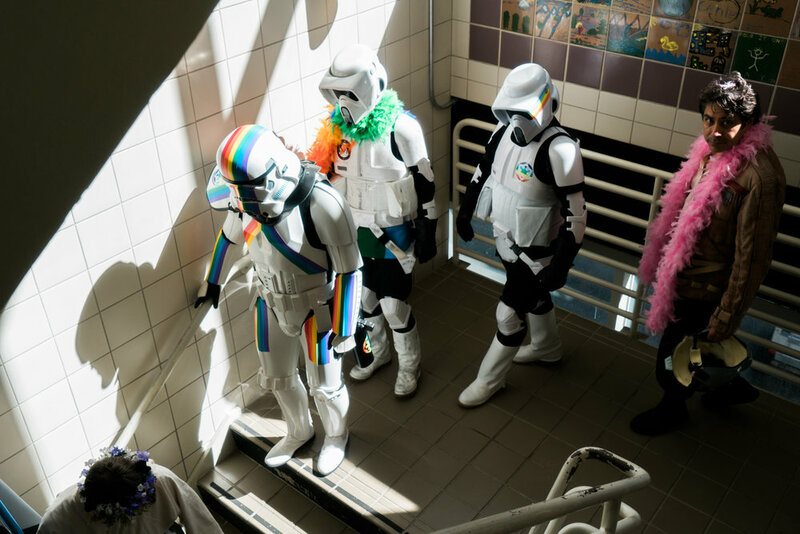 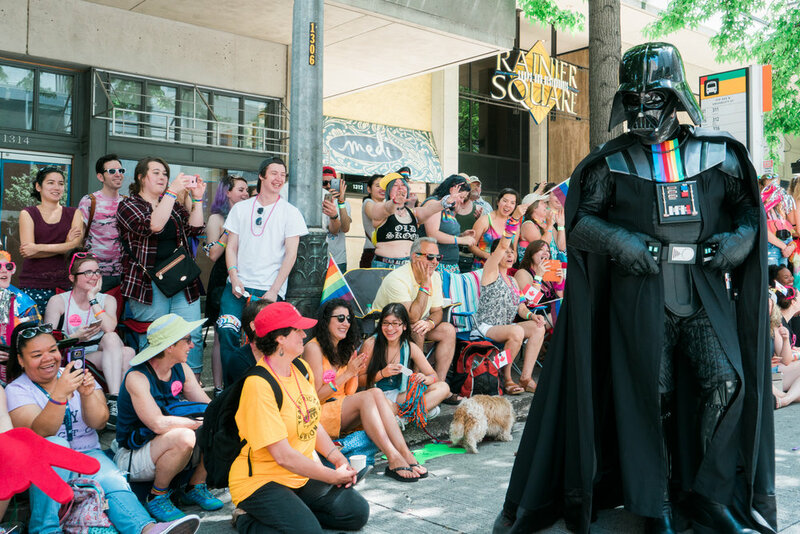 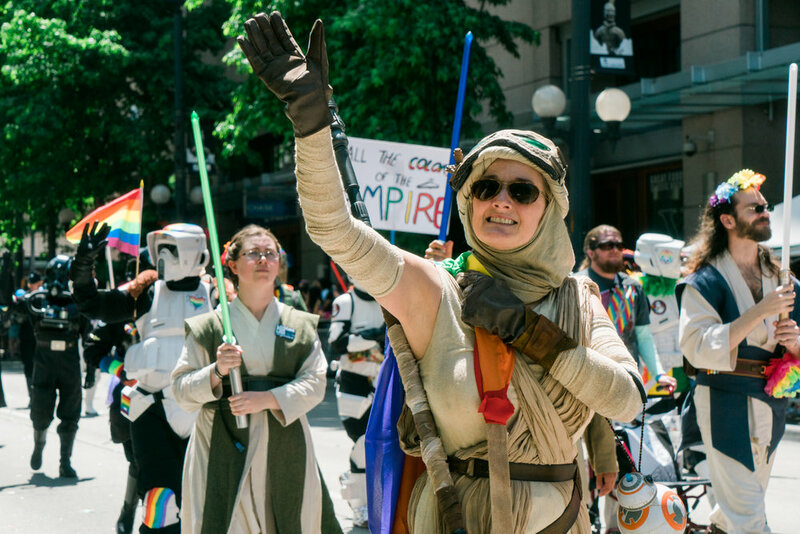 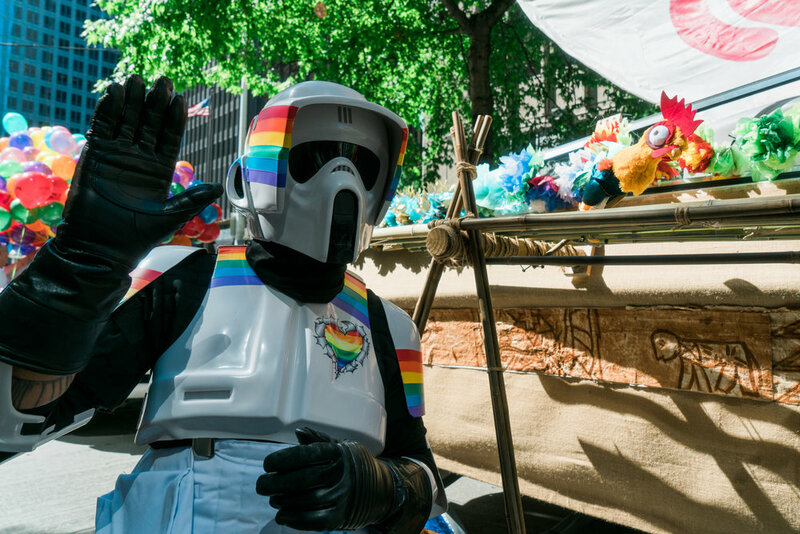 A record-breaking heat set in over Seattle during the 2017 Seattle Pride Parade, but the Garrison Titan of the Star Wars 501st Legion wasn't fazed. 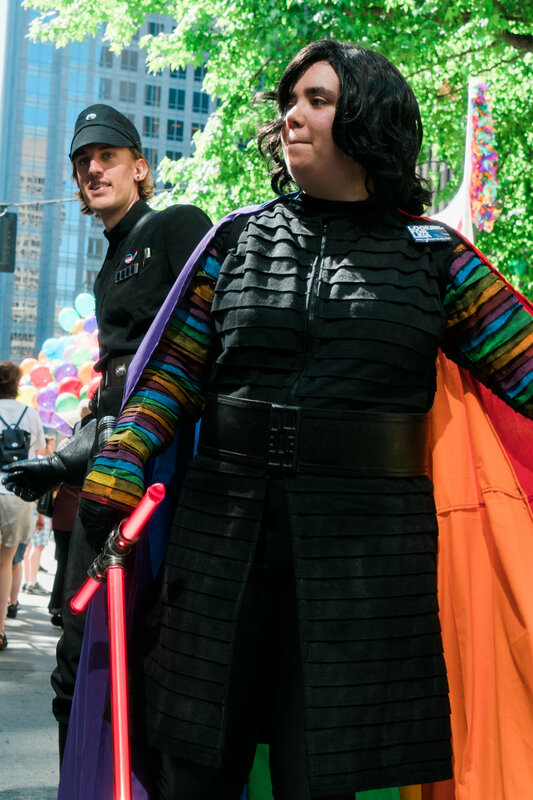 Dawning their dark robes and sweltering armor, dozens of members took part in the parade to a huge turnout of over 200,000 onlookers. 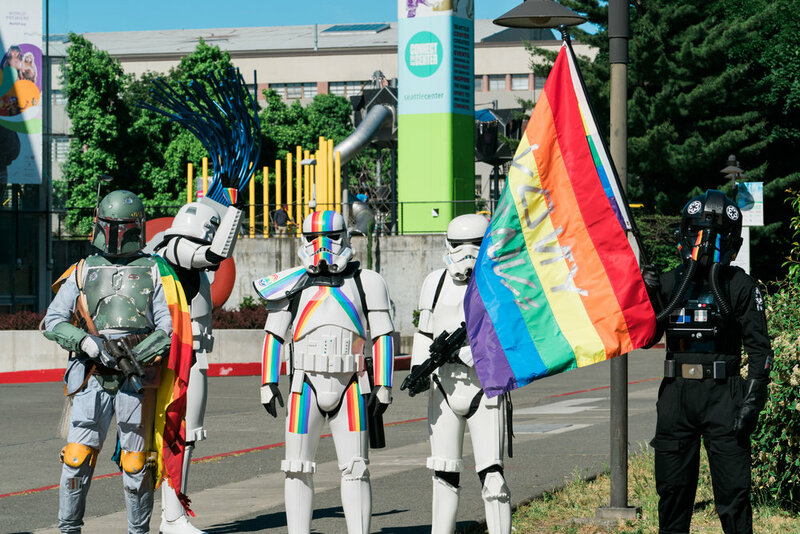 With the help of dedicated spotters, including one who was delighted to go by "waterboy," everyone stayed happy and hydrated during the 3 mile walk to Seattle Center. 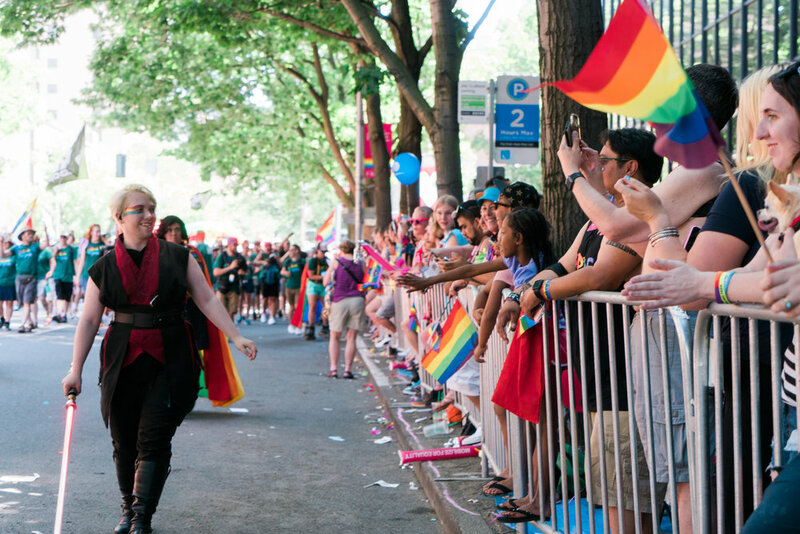 By the end of the parade, most of the Garrison was speechless at the overwhelming enthusiasm emanating from the crowd. 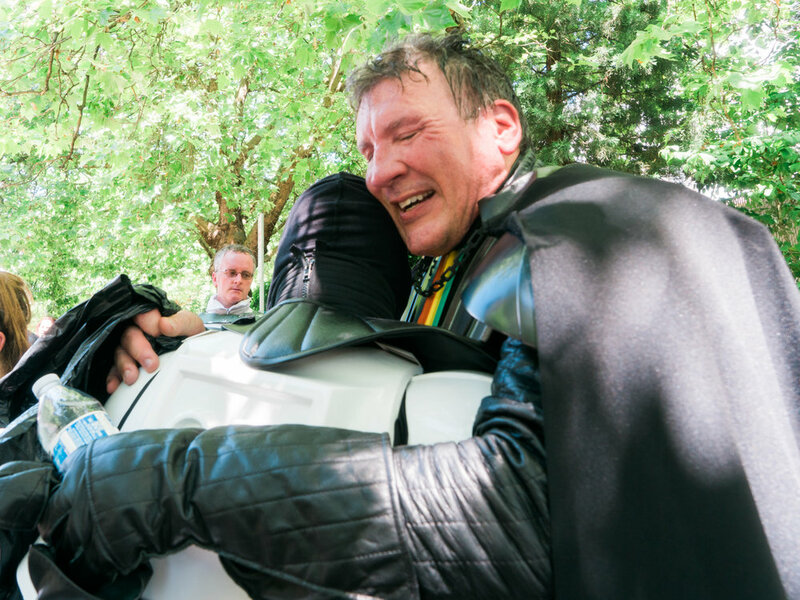 The excitement continued with a surprise stream of confetti in celebration of Matthew Brown, the Garrison Commanding Officer's 150th troop. 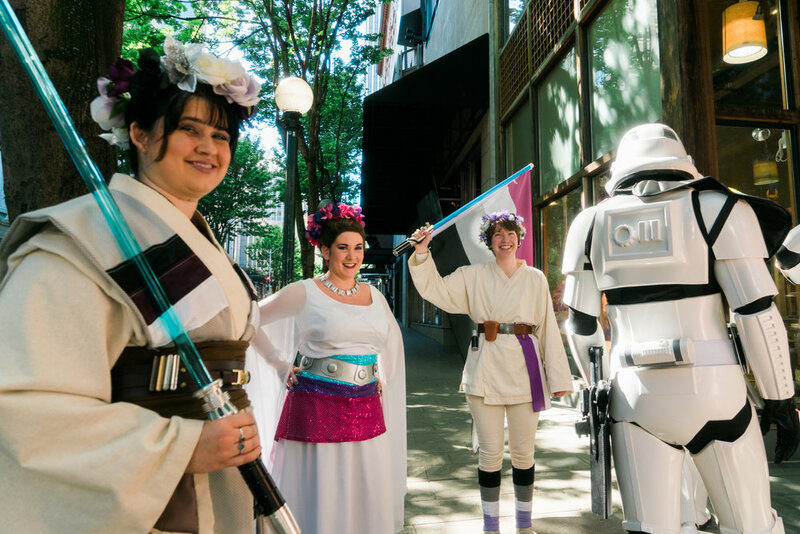 Even better: the Garrison's presence was so well received that they were asked to return for next year's parade just the day after.